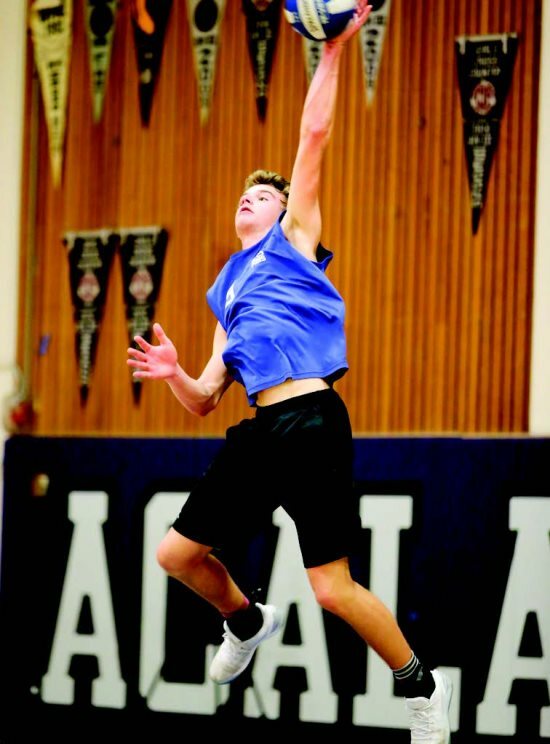 With 12 seniors and juniors on the roster, one would think that Acalanes would be perceived as a very experienced team. Not quite, according to head coach Mason Mulvaney: "We are pretty mature but we only start one senior, a freshman (Austin Kinnear), a sophomore (Nikolai Heffernan) and the rest of the starters are juniors so we are in a bit of a transition year." With a 6-3 record so far, it's a transition most teams would welcome. The Dons have had to battle through a number of distractions early in the season. With the basketball team making the playoffs, access to the gym was limited. Says Mulvaney: "It's been a little bit of a process. We have had a lot of injuries and sickness. It's only been the last two weeks where everyone has been available." Mulvaney has come to appreciate the willingness of his team to fill in and do what is necessary for the good of the team: "Colin Kerbach has moved to setter when starting setter Raymond Ko went down with a wrist injury. 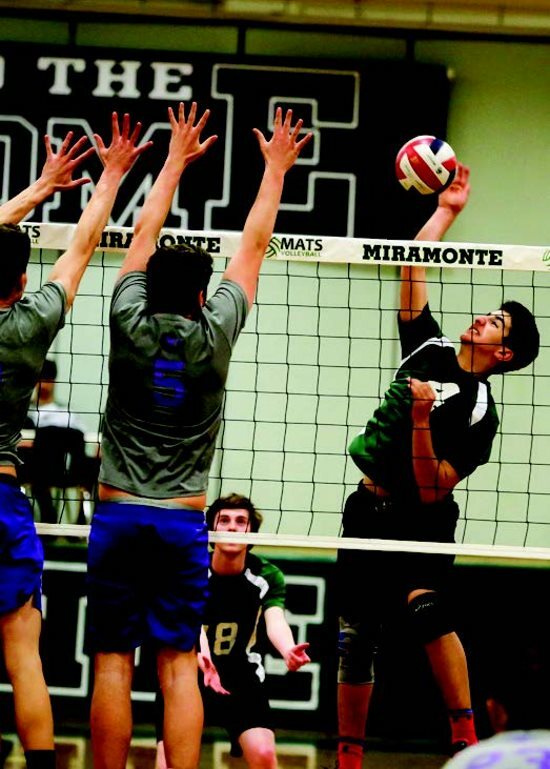 Kinnear, who played on a national championship club team, has also played setter and outside, doing whatever has been needed. It's been a great group that has been able to step up and fill the voids." 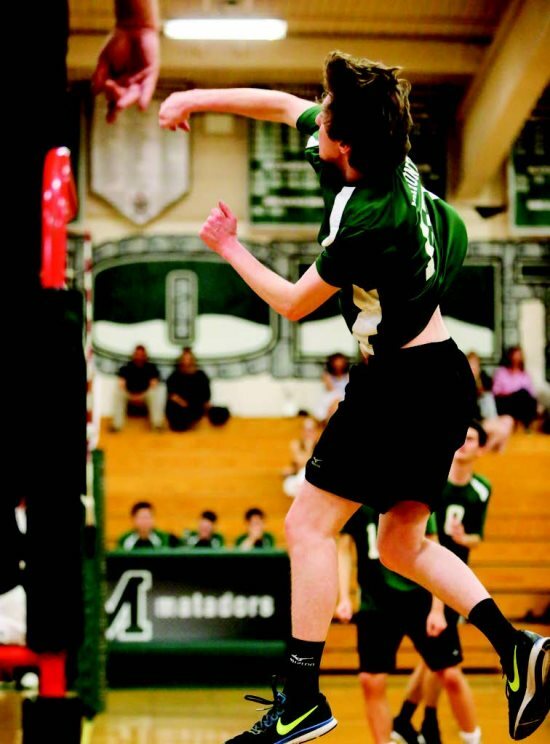 The strength of Acalanes would be their offense and hitting, taking advantage of their size and blocking at the net. Mulvaney is looking for more consistency in general and improvement in their receiving service and specifically in passing: "With Kerbach our only returning starter, we've played up and down. I am looking for the consistency to build towards the playoffs so we will have to maintain a level of focus and improve internally." With so many changes on the team, Mulvaney has come to rely on his two team captains, juniors Kerbach, a three-year starter and Alex Franke, a second-year player. Says Mulvaney: "Kerbach is my floor captain. He is the most experienced player on the team, a leader on and off the court. Franke brings a great attitude to the court. He is a very skilled, attacking player who is very positive and competitive." The defense is led by junior Lane Altbaum, starting for the first time though it is the fourth year an Altbaum is the team's libero with Lane replacing his brother Brad who was the starter the last three years. Junior Ethan Brown is an outside hitter that Mulvaney starts in the back to take advantage of his passing and his ability to swing from the back row. Coming off an undefeated league season, Mulvaney is optimistic about the upcoming league season but is looking for more success in the post-season playoffs. With Campolindo coming off a successful 2017 season (31-4) losing to Saratoga in the state tournament, most coaches would have concerns with losing so many graduating seniors. Not so for head coach David Chan. Chan only lost four players from last year's team and in his plan to not be caught short through graduation, has five sophomores and freshman along with 10 seniors and juniors on this year's team. 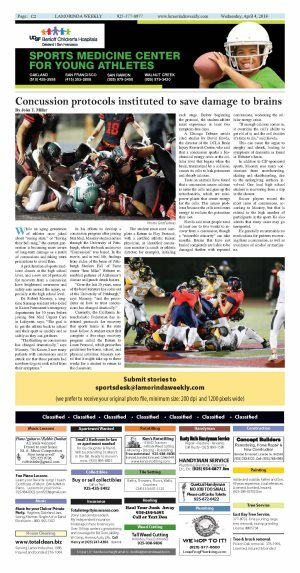 With a 14-4 record this season, team chemistry remains a strength, according to Chan: "The returning players are searching for their place in the program's history. They want to leave their mark alongside the other teams that have passed through the program. We are learning about the new players toughness and competitive drive." Chan has put an emphasis on the team coming together: "With the addition of five new players, three being freshmen, we have to build a trust and bond with one another. This comes with battling alongside each other day in and day out." Leading the offense has been seniors Ryan Nagle and Grant Larsen. Also stepping up are two freshman, Ben Blakely and Jeremy Enriquez. Says Chan: "Ben and Jeremy have an aggressive, competitive nature and are acclimating to the varsity scene. Still we always emphasize balance and distribution to make sure everyone plays their role on the team." With such a veteran team, there is no one strong, vocal leader, which is a bit of a concern for Chan: "Since we may lack vocal leadership, we are strengthening our nonverbal communication skills and maintain consistent, positive body language. Credit goes to the seniors as they are helping to guide the group as they search for their own leadership styles." The Cougar defense is still a work in progress. Chan appreciates how important the libero position is and is still looking for someone to step up and take over that position: "We want our players to continue to compete for this role and the player who ultimately gets it will be the most driven and gritty competitor. We are not the biggest team so we will need to play some suffocating defense to give us a better chance to be successful." Returning after a hiatus from coaching, head coach Manoa Koepka brings over 10 years of coaching experience to his first year at Miramonte. Coming off a disappointing 2017 season (2-15), Koepka is not looking back: "Last year's record does not matter to me. My goal is to build a culture among my players of giving 100 percent in everything they do. It can be tough but I believe the players are really coming along." Having been hired only two weeks prior to tryouts and unable to attend any tournaments or jamborees has initially set back the Matadors but Koepka remains optimistic: "We're behind the curve regarding playing time but every time we play, we get better. We have a number of experienced and inexperienced players. What they all have in common is a fantastic and positive attitude, with everyone giving their best effort at every practice and game." With this team, leadership among the players is crucial. Setter Wesley Ishizu and outside hitter Nick Luckenbach both bring a lot of experience from playing club volleyball. Says Koepka: "Their experience gives them the ability to help our more inexperienced players. It is like having a couple of extra coaches on the court at all times." Leading the time in kills are Luckenbach and middle Evan Karrie-Kivel. Daniel Lucas and Spencer Lang are improving with each game. Faran Sami has been effective from the service line and Chris Huang has stepped up his game in hitting and serving. All the talent in the world will not work if there isn't a setter to put the ball in the right spot. Says Koepka: "I can't say enough about Ishizu's setting and running the offense. Our hitters have really started to take advantage of his ability to set away from blockers." The Matadors defense is led by libero Ethan Luckenbach. Says Koepka appreciatively: "He is one of the best liberos I've ever coached, not only from a skill perspective but he is also very cerebral about the game. David Deng is also playing very tough defense." Koepka is looking forward to the return of Jon Holobetz who has missed the last two weeks due to injury. Working out the kinks in a so far winless season has not set back his team, says Koepka: "The varsity and the JV teams have a really great spirit. They always have something positive to say and they want their teammates to succeed. It has really made the season fun so far. I am excited to see the boys continue their learning throughout the season."